BACE is a Multi Award Winning Sports Facility specialising in Cheerleading, Trampolining & Disability Sport in Glossop, Derbyshire. Opened in 2016. 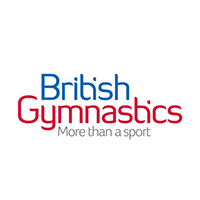 Click on our AGE GROUPS menu to view all of our activities per age group from Early Years to Adult OR view our TOP MENU for sport specific information about Cheer, Trampolining or Disabiity Sport. High Performance Sprung floor, Studio and rooms for hire. 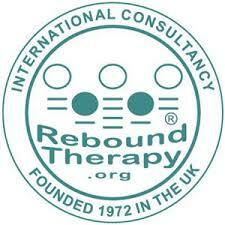 Emma has been coaching Rebound Therapy to my daughter for 5 years. She has always been committed to promoting my daughters independance on the trampoline through research and building up a teamwork approach between coach and participant. Emma's strength is her ability to communicate with different ages and abilities always on an appropriate level. In 2014, Hannah started an adult cheerleading team for the parents and family members of the junior cheerleaders. It is a credit to Hannah's energy and commitment that in our first year we became National Champions. We have achieved skills we never thought we could as well as building confidence to perform in front of an audience. 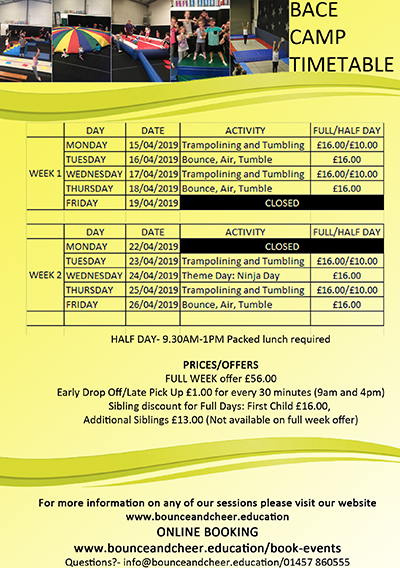 My children have attended trampolining and tumbling sessions during the school holidays and love learning skills on the tumble track as well as front drops on the trampoline. 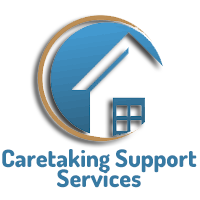 I can highly recommend these sessions. 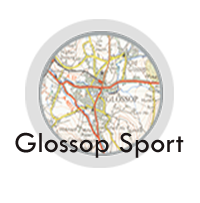 Working together for 10 years with the common aim of providing high quality sport to local people of all ages and abilities. Sharing knowledge and expertise that we have learnt and built together is our core aim. 20 years experience of high performance and coaching in Cheerleading. 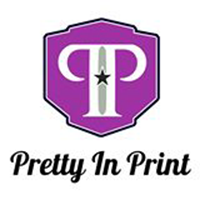 Developing education and community based clubs for all ages and abilities. Our young coaches and volunteers gain valuable life skills and sport specific knowledge through a range of placements and training opportunities . We are proud to be affiliated with some of the country’s finest sporting bodies and local businesses. We are now taking bookings for the Easter BACE Camp Holidays.